Home Latest APC Bounces Back in Edo, But for How Long? APC Bounces Back in Edo, But for How Long? The outcome the presidential and national assembly elections held on February 23 was not a pass mark for the All Progressives Congress (APC) family in Edo State. The party’s performance was below average. It won five of the nine House of Representatives seat, and one out of the three senatorial seats. The party also lost in the presidential election, which classified the outcome as below the average given the fact that the party is in control of the three tiers of government: the federal, Edo State and the 18 local government councils. In other words, with Adams Oshiomhole as the National Chairman of the APC, Godwin Obaseki as Governor of the APC-led Edo government and 18 local government councils controlled by APC, the party had no excuse not perform optimally. Political analysts, party faithful and sympathisers were all disappointed by outcome. 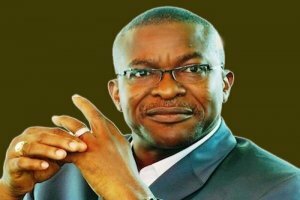 However, fortune smiled on the party during the state assembly polls, capturing 24 of the 24 state constituency seats in a surprise rebound, achieving an unprecedented result never recorded in the history of the state since the creation of Mid-west region, Mid-west State, Bendel State and now, Edo State with Benin City as capital all through. With this victory, there is no doubt that APC will consolidate its stronghold on the state especially in the forthcoming governorship election. Unfortunately, Rather than closing ranks, the party adopted a system to shield the governor, Mr. Godwin Obaseki from other competitors who want to contest the governorship primary. 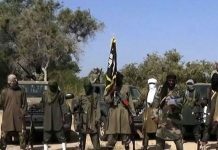 Having identified a particular target, the first to receive the rough tactic is Major-General Charles Airhiavbere. 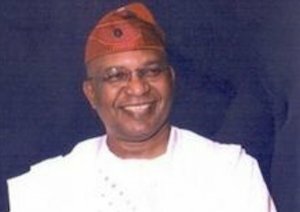 Gen. Airhiavbere came into political limelight in 2012 when as candidate of the Peoples Democratic Party (PDP), he contested the governorship election against Comrade Adams Oshiomohle who was then seeking a second term, but lost. Prior to 2016 election in the state, he decamped to the All Progressives Congress (APC) and contested the primary that threw up Godwin Obaseki as the candidate and winner of the governorship election. Not tired, the retired Army paymaster is still having his eyes on the pie and has oiled his political machinery to contest the party primary election with the incumbent governor and any other interested aspirant. To kick-start his ambition once again, Airhiavbere has mounted an imposing billboard in the heart of Benin City with the slogan “Hope Alive”. Miffed by this effrontery, the governor was alleged to have instructed his accolades in the party to deal with the Airhiavbere, and to achieve this, APC Ward 01 Oredo local government area was used as a decoy to achieve this particular goal. The ward executives in an enlarged meeting suspended Airhiavbere for alleged anti-party activities during the conduct of the Presidential and National Assembly elections. Among the allegations against Airhiavbere are that he deliberately withheld tags and other party tools meant for APC agents and party faithful, thereby hindering their work during the elections. He was also accused of openly canvassing votes for the opposition PDP. Swiftly reacting to the suspension, General Airhiavbere described the suspension as a ploy to stop him from contesting the APC ticket against Obaseki. Airhiavbere while insisting he will still contest the governorship on the platform of the APC, however noted he was not the only part chieftain in Edo State that lost in his polling unit, ward and local government. According to him, “There are procedures for suspension. Is it a coup plotting system? I am a retired General and I am familiar with this kind of plot. As a leader of the party, I expect that there would be some measure of respect. I’m I the only person who lost his ward during the election? “The governor is part of the ward, there are other leaders too and I am a member of the Presidential Campaign Council mandated with the security of votes during the election. “My only conclusion is that I have been identified ahead of the 2020 election. They shouldn’t heat up the polity because it is too early. If they already see me as a contestant, there is a procedure on how to go about it but that wouldn’t stop me from contesting. Airhiavbere is not far from the truth. All the known political actors in the state performed woefully in their respective wards in presidential and national assembly elections. A socio-political group in the state has since warned leaders of APC not to play dirty politics ahead 2020 when the governorship election will hold. 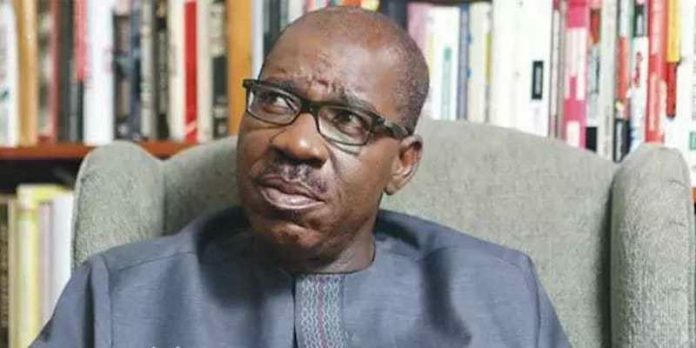 The body under the platform, Edo Continuity Forum, faulted the suspension of the former governorship aspirant by the party, admonishing Governor Godwin Obaseki not to play dirty ahead the 2020 to avoid political tension in the state. The group in a statement signed by Mallam Yekini Iduse, argued that by embarking on victimisation of some party leaders over their failure to deliver President Muhammadu Buhari in the state, the party was busy chasing shadows. It also urged the governor to bring all party leaders together to avoid losing the state to the opposition in the governorship poll in the state next year. According to the statement, “As a socio-political Organisation in Edo State, we are concerned about the growing tension in the state ahead 2020. We are appealing to governor Godwin Obaseki to open the political space for other persons who intends to challenge him to do so without intimidation. “We recall that governor Obaseki informed all his commissioners before the presidential election to resign if they fail to deliver their units and wards. Unfortunately, for the governor, majority of the APC leaders in Edo South and Central districts could not deliver their wards and units for Mr. President including the governor after promising Buhari one million votes when the presidential campaign berthed in Edo. “So if the governor’s directive must be taken seriously, all the leaders including the governor should resign their positions rather than victimising other political leaders who have paid their dues in the state. The purported suspension of Gen. Airhiavbere is unconstitutional and we will resist it. It stated that, “the Edo Continuity Forum will resist any attempt to further plunge the state into unnecessary crisis and political tension because as we speak today, there is so much insecurity in the state and nobody is doing anything about it. 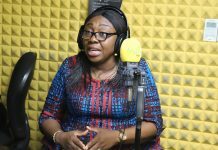 “All qualified Edo indigenes must be allowed to participate in any political party of their choice as well as run for positions without any form of intimidation. 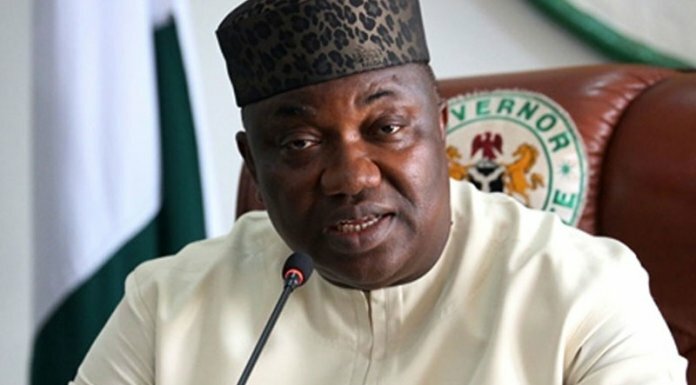 It is our view that the current war against Gen. Airiavbere by the state government is because of his interest to contest the 2020 governorship and this kind of attitude cannot be tolerated by this forum,” the statement added. 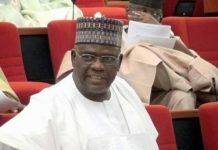 Should such misgivings continue, one wonders what the political terrain will look like when other heavyweights like former deputy governor of the state, Dr. Pius Odubu, and Dr. Chris Ogiemwonyi who contested the APC primary election throw their hats into governorship race, said a prominent leader of the APC who craved anonymity.